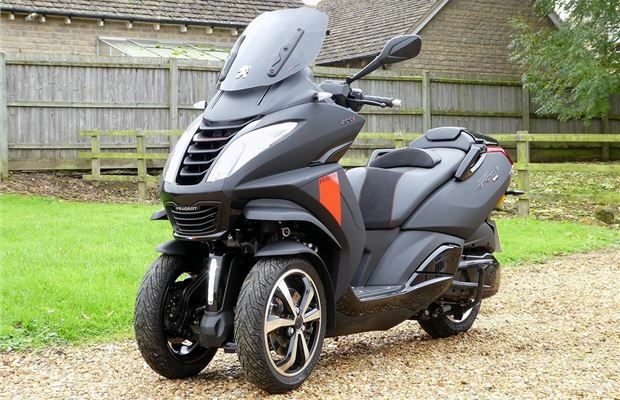 The Metropolis 400i is Peugeot’s answer to the Piaggio MP3, with two front wheels and a tilting mechanism, giving the feel of a scooter through bends, but with reassuring stability of a trike. 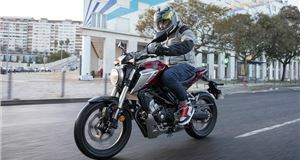 It also has the benefit of being compatible with some car licences – meaning you won’t need to take a motorcycle test to ride one. Only some car licences, though. If you passed after January 19 2013 you’re out of luck, since the law changed then to clarify what driver's licence categories meant across the European Union. So, instead of trikes being reagarded as cars they became motorcycles. 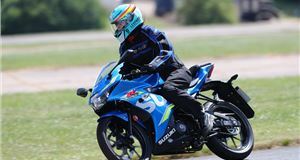 For everyone else, you can simply get on and go – though we wouldn’t recommend that unless you’ve at least undertaken CBT training. That’s because the Metropolis 400i shares nothing with a car and is very much a scooter. It feels like one, it rides like one and it’s as practical as one. 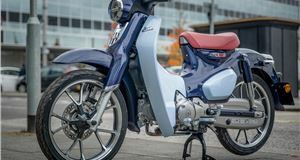 There are a few extra controls, including a switch to lock the bike upright when it’s stationary, an extra foot-operated brake and an electric parking brake, but aside from that it’s just a big scooter. A very stable scooter, too. Through corners the Metropolis is really confidence inspiring – you can crank it over into turns with almost carefree abandon. That’s especially useful in bad weather, where the extra grip offered by an additional front wheel is very welcome indeed. For winter commuters, it’s great. There are a few other features that help out in bad weather; the windscreen can be raised to provide better wind protection, while the linked brakes (with ABS on pricier versions) and traction control mean you can stop quickly and neatly, even if the road is damp. The wide leg shield should also keep your lower body warm and dry, too. The width and length of the Metropolis does pose a few problems when filtering though traffic. It’s still possible, but a bit more attention is needed than when riding a skinny two-wheeler. But, once you get to the front of a queue you’ll have no problems outpacing cars from the lights because the Metropolis is pretty nippy. With 37PS on tap it’ll beat most other vehicles up to 30mph, despite its fairly hefty weight, plus it’ll cruise along happily at motorway speeds, with some power in reserve to pass slow traffic. That’s even the case with a passenger on the back – and they’ll be quite comfortable there thanks to the spacious seat and foot rests. Unfortunately, it’s not quite so great on a twisting country lane. While there is lots of grip and you can confidently lean into corners, the Metropolis isn’t very agile when it comes to sudden direction changes, while the suspension sometimes feels a bit harsh and bouncy over uneven surfaces or potholes, especially mid-corner. Still, it’s fine for the urban roads it’s most likely to be used on. If you want to use the Metropolis for shopping and commuting, you’ll be pleased by the amount of storage. 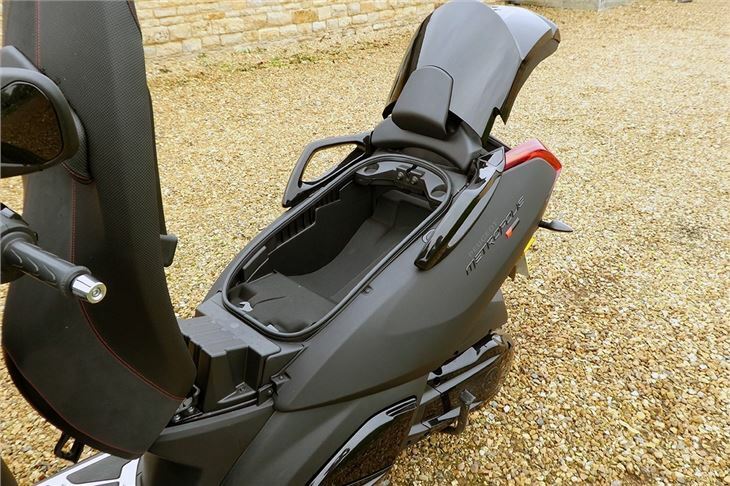 There’s room in the rear, remotely-opened storage locker for a full-face helmet, plus space for a few bags of shopping underneath the seat. There’s a bag hook, too, plus a couple of cubby holes and a charging port for your phone or nav. The Metropolis is cheaper and slightly less powerful than the Piaggio MP3 500 and a similar price to the less plush, slower MP3 300. That makes it a smart alternative to those two bikes and one we would probably pick over both, if given the choice. But that’s disregarding a very important point. That is, if you passed your car driving test after 19 January 2013 then you’ll need a full, category A2 bike licence to ride the Metropolis. 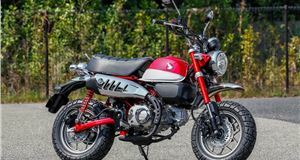 If that’s the case, then there are plenty of two-wheeled competitors we’d pick over this bike – machines like the Suzuki Burgman 400, which is £1000 cheaper. Still, if you’re sick of watching scooters whizz past you in standing city traffic every morning on your way to work – and if your car licence permits – the Metropolis is great. 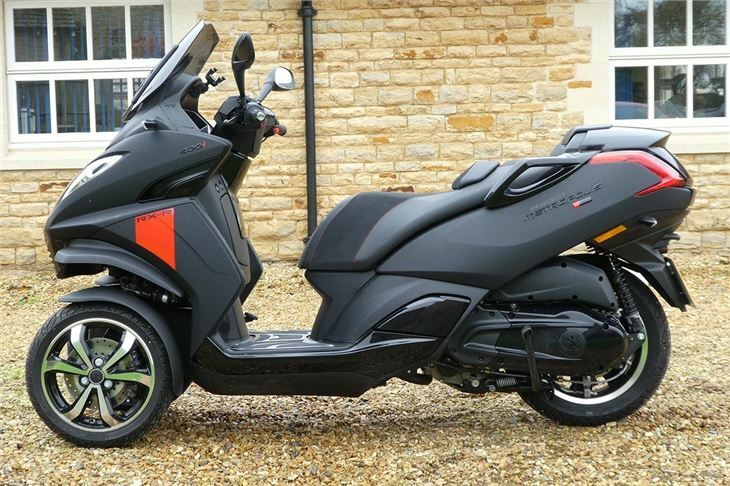 It’ll let you join the ranks of two-wheeled (or three-wheeled), nothing-can-stop-us scooter riders, without settling for a slow 125 with L plates or taking your full bike test. That’s a nice loophole to exploit - but we would defintely recommend you undertake a CBT test before riding. The Peugeot Metropolis range costs from £7499. It costs £7799 with ABS. Model tested is the RXR, priced at £7899. 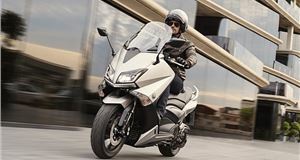 Peugeot Metropolis 400i (400cc) liquid-cooled single cylinder, fuel injected, CVT automatic transmission; 37PS. Torque figure not quoted - 38Nm estimated. Peugeot Metropolis 400i: Top speed 90mph (estimated). Fuel consumption 70mpg (estimated), Annual VED £41.